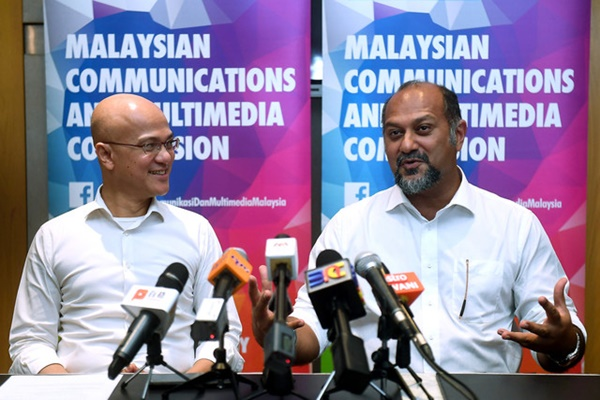 PUTRAJAYA: The Malaysian Communications and Multimedia Commission (MCMC) will prepare the final report on the 5G Testbed and Trials by the end of this year, said Communications and Multimedia Minister Gobind Singh Deo. He said the outcome of the trials from April to October this year would be presented to the government and that the initiative was to ensure that the country was ready for the implementation of the high-speed network and technology. “The report will be released regarding the results of 5G test bedding, which includes strengths, weaknesses and suggestions on what the government should prepare to ensure our country is ready to step into the 5G era, especially with the emerging of Industrial Revolution 4.0. “Although there isn’t a set date as to when 5G will be fully available across the country, we can safely say that we are heading in that direction,” he told reporters after a site visit at the 5G Malaysia Showcase at Perbadanan Putrajaya here today. A testbed launch to showcase 5G will take place on April 18 and is scheduled to be officiated by the Prime Minister Tun Dr Mahathir Mohamad, while the showcase will be opened to the public on April 20 and 21 from 10 am to 6 pm. Admission is free. Earlier this month, two 5G networks were established in Putrajaya at four launching locations, while five networks will be set up for launch on April 18. Meanwhile, MCMC chairman Al-Ishsal Ishak said the report which would be prepared between November to December, was another progress for the country to be on par with global development as the World Radiocommunications Conference (WRC) 2019 (Oct 28 to Nov 22) would finalise certain standards on 5G by year end. He said the 5G Taskforce, which was established last year, currently has 108 members from various sectors within the industry including telcos, businesses, educational institutions, related government agencies, and infrastructure vendors. “MCMC will do analogue-switch off at the third quarter, and six months later, we will clear the 700 megahertz spectrum for public use. So, when you look at the timing, we complete work this year (5G), and next year is the completion of spectrum. This is the reason why Malaysia started early (5G testbed) to be on par with other happenings and standard verifications around the world,”he said. During the walkabout, Gobind tested an autonomous vehicle – a collaboration between Celcom, Ericsson and eMoovit Technology – which took him around the Kompleks Perbadanan Putrajaya vicinity.